How long does fuel last in your car's tank? How long does fuel last? This is an important question when you’ve got a car that’s rarely driven or you have fuel stored in drums. 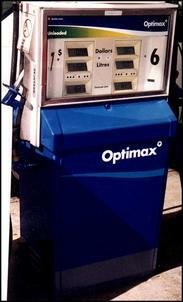 The last thing you want is a tankful of ‘off’ fuel that can damage your fuel system or possibly even kill your engine. According to Shell Australia’s Technical Advice Centre Manager, Warren Scott, you can generally store fuel in a sealed container for around six months before it starts to deteriorate. This assumes it’s kept relatively cool and away from direct sunlight. “But if the container is not properly sealed or it’s repeatedly opened, [fuel] will start to evaporate and you lose some of the light components in the fuel,” Mr Warren says. Those light components include highly important butane. As these components are lost, the fuel loses its volatility. Mr Warren says this makes the car difficult to start. In warm conditions, fuel is especially prone to oxidisation which causes lacquer and gums to form. As a result, the fuel turns dark in colour, loses its clarity and smells like paint stripper. Gary Whitfield, Senior Fuel Chemist at BP Australia, says that in the right conditions, fuel can last up to 12 months. 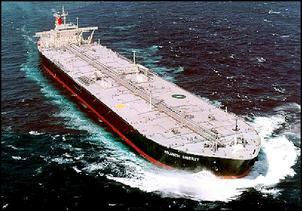 But once the container is opened, the fuel will start to degrade. “Once the seal is broken, a vapour space is formed in the container and the fuel will start to deteriorate more rapidly,” he says. Okay, so what about fuel that’s left in your car’s tank for a long period of time? Mr Whitfield claims fuel in a car’s tank can last for up to four weeks before it becomes considerably denser. When this happens, the engine is effectively over-fuelled (without any change in injector pulse-width) and there’s an increased chance of carbon deposition onto spark plugs and inside the combustion chamber. This can cause driveability problems such as stutters and misses. “Regular unleaded fuel will lose a small amount of octane over time but in our low-sulphur and high detergent Ultimate fuel it might increase very slightly. It might increase 1 RON in four weeks – but it’s not something I’d bother chasing,” he says. Mr Warren says that in most cases, it’s only when fuel is left in the tank for several months there’s the risk of engine damage. This is much more likely to occur in cars running dual LPG/petrol systems. “By this time the fuel will have gone dark and gummy and can clag the fuel pump, filter and injectors,” Mr Warren says. It can also leave a lacquer deposit on the inside of the fuel tank which is difficult to remove. In addition, it’s important to be aware that fuel brews – specifically fuel volatility - varies on a month to month basis. Standards vary from state to state but, generally, volatility is reduced during summer months to reduce evaporative emissions. Mr Whitfield says this typically makes the engine slightly harder to start but there is no change in octane. Lachlan Riddel, proprietor of Gold Coast based tuning company ChipTorque, frequently dyno tests cars which have not previously been driven for several weeks. “On the fuel mix we have in Queensland, I think fuel in a car’s tank is starting to go off in around three weeks,” Mr Riddel says. “We can tune a car, put it away for three of four weeks, come back to it and it will be either closer to detonation or less likely to make the same power. Interestingly, Mr Riddel hasn’t noticed the engine becoming harder to start but the effect on octane is pronounced. Similarly, the General Manager of Melbourne’s Advanced Vehicle Operations, Steve Coates, believes fuel tends to go off in a car’s fuel tank quite quickly once it’s a couple of weeks old. “After a couple of weeks not driving a car, I find that it will be closer to detonation than it was at the time of tuning on the chassis dyno,” he says. “And the brand of fuel seems to make a difference as well – I find that Mobil and BP products are probably the best after being stored but Shell Optimax is really good when it’s new." Clearly, there are some important factors to keep in mind when storing fuel in a container for several months or when parking your car for a few weeks. Our recommendation is not to run the engine at high load with fuel that’s been in the tank for any more than three of four weeks and it’s a good idea to add at least 25 percent fresh fuel to the tank every few weeks. This will help ensure there are no fuel-related driveability problems or detonation and will reduce the chance of lacquer building up inside the tank.